Collaboration between startups and enterprises can greatly accelerate the rate of innovation with limited risk. Innovation is without question the holy grail for companies. While there is an immense pressure to innovate, it remains elusive for most. Ninety-four percent of managers were dissatisfied with their company’s innovation performance in a McKinsey poll, while a KPMG study found that two-thirds of U.S. CEOs are concerned that they're not disrupting business models. In a recent Gartner study, at least 84 percent of 3,160 CIO respondents in 98 countries said they have responsibility for areas of the business outside traditional IT. The most common being innovation and transformation. While many companies want to breed innovation in-house, there isn’t always enough time, money or resources to do so. Instead of accepting the status quo and waiting for innovation to happen organically, there is a huge opportunity for startups and enterprises to collaborate. Today, companies can actively seek out cutting-edge technologies with startups and test-drive by tapping into incubators, innovation labs, or running proof of concepts (PoCs). Collaboration is the most powerful tool when innovating. Enterprises have a lot to gain by working with innovative startups, while startups benefit by gaining the support and customer base on which to pilot their product. Ultimately the ones who benefit most from collaboration are the companies that are looking to introduce game-changing technologies to the market, who want to retain their market share or even the first move advantage. A great example of how a startup was instrumental to a behemoth’s success was back in 2010. While Google was struggling to implement mobile assistant feature Aardvark, Apple was on the way to revolutionizing the mobile assistant world with the integration of Siri in its operating system. It is estimated that Apple paid between $100-$200 million for the early stage startup. Aardvark died relatively quickly, while “Hey Siri” has now become a ubiquitous part of our culture. Walmart recently launched the startup incubator Store No 8, which will partner with startups, venture capitalists and academics to promote innovation in robotics, virtual and augmented reality, machine learning, and AI. In addition, the company has opened two test centers in Florida and Texas to test-drive new innovations and solutions to better understand the real-life implications of technology and functionality improvements – ultimately aimed at improving revenue and the customer experience. More recently, German software maker SAP opened its new Co-Innovation Lab (COIL), a space for startups, partners and vendors to collaborate on tech solutions using SAP’s slate of tech platforms. SAP’s total count of Co-Innovation Labs now totals 15. Similarly, Salesforce has been a big startup advocate. The AppExchange helps anyone build on the Salesforce platform, sell on AppExchange, and grow with world-class partner technology. Additionally, the Salesforce Incubator is a five-month program that helps select startups and consulting firms deliver innovative solutions to their customers using Salesforce technologies and tools. The program includes a physical workspace within the Salesforce San Francisco campus to facilitate innovation and collaboration. Enterprises in industries that need innovation often don’t know where to begin in the search for technology that will transform their business operations and take them to the next level. Much of the hardship in running a PoC with a startup has to do with finding the right startup to work with, data security/regulatory issues, and testing POCs one by one. Several companies have been founded to address this problem, or at least different elements of the problem. The matching between startups and enterprises, the actual marketplace aspect, for example is something Matchi is attacking. A company called prooV was created for this reason, to streamline the entire PoC process. It’s a PoC-as-a-Service solution that revolutionizes this process and simplifies testing new technologies. Essentially this works as a bridge between enterprises and startups, eliminating the traditional hassles associated with running PoCs. The idea behind a PoC solution is to simulate your existing data infrastructure. While an environment created exclusively for your needs may sound expensive and time consuming, the reality is that a PoC has a higher chance of yielding a positive result, thereby reducing long-term costs and increasing ROI. CIOs, CTOs and CEOs concerned with ROI and a global market advantage can use a PoC to reduce overall costs and seek a solution that will meet their exact needs while ensuring maximum scalability and agility for future goals. 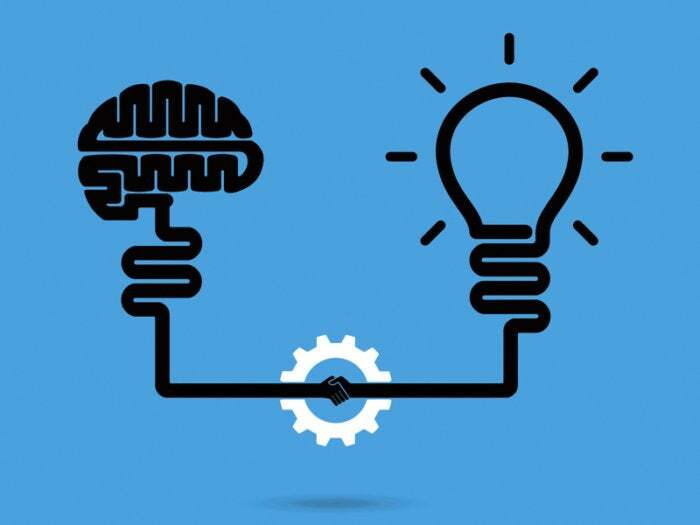 Heads of Innovation benefit as it lets them turn to startups and outside-the-box solutions for existing problems while increasing the rate at which new technologies can be tested by running multiple PoCs at once. In the past, innovation has been a slow and tedious process. Enterprises assume they’re better off trying to find a solution in house, rather than seek external resources. But the reality is by working together, startups and enterprises can break down the barriers to innovation.